Lowcock’s Lemonade Navigation History > Bottles > Signs (this page) > Transport > Misc. 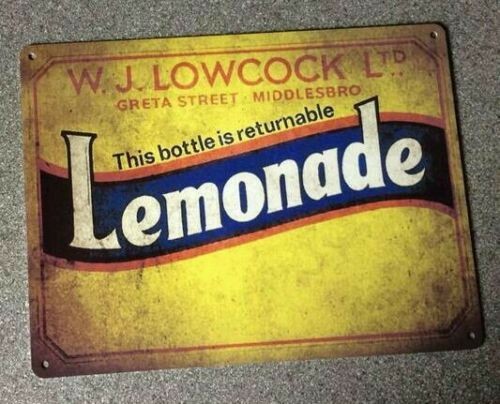 Thanks for visiting the Lowcock’s Lemonade Signs memorabilia page. I am NOT affiliated with Lowcock’s Lemonade in any past, present or future capacity. I just share the same name. If you’re interested in the Lowcock surname you can read up Lowcock Genealogy and about me here. This Lowcock’s Lemonade Signs page includes photos of signs that seem to have been used to promote Lowcock’s Lemonade in-store (or on the side of buses). 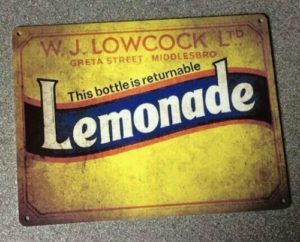 The following Lowcock’s Lemonade sign was found in an old eBay listing. 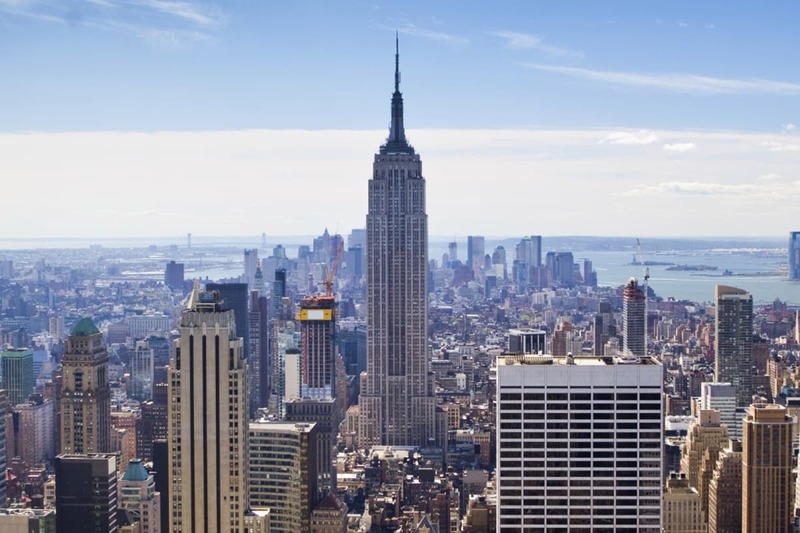 The sign measures 12′ x 3′ (3.65m x 1m). The sign is described as being wooden and hand painted. 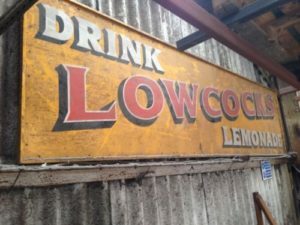 Some other Lowcock’s Lemonade vintage signs I have found, include this “Ask for Lowcock’s Lemonade”. And this one, which reminds you of the bottles are returnable. Ned Basher owns the copyright in the next photo of a bus (Cleveland Transit Fleetline L568) at Middlesbrough Bus Station. 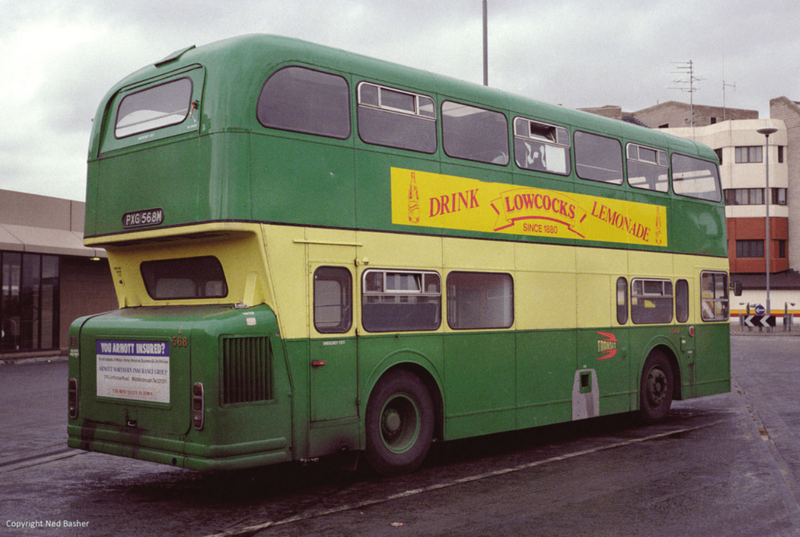 The photo was taken on August 2nd, 1984 and features an ad for Lowcock’s Lemonade. Navigation Bar: Lowcock’s Lemonade History > Bottles > Signs (this page) > Transport > Misc.